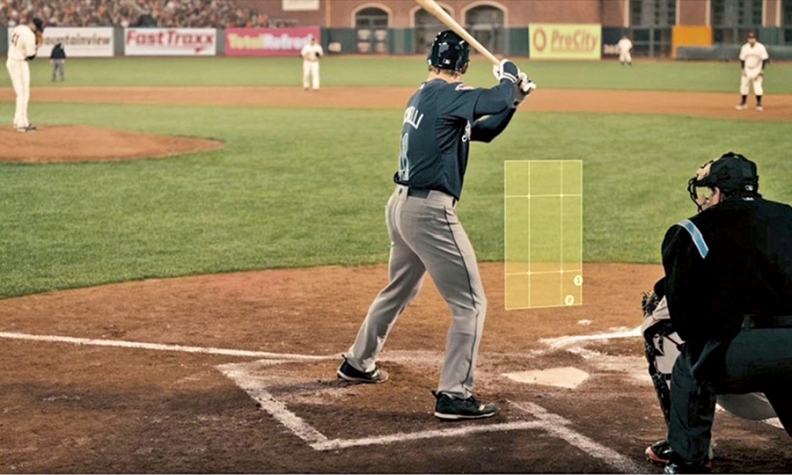 GMC's new ad campaign features pitches painting the corners at the plate. DETROIT -- It's easy to spot a pickup commercial on TV: Look for dusty work sites and trucks clambering over rocks, along with claims of the highest payload, towing capacity or torque. GMC trucks can do that stuff -- but you won't see it in new commercials that are part of the brand's broadest advertising campaign in 15 years, GMC chief Duncan Aldred said. "We're going to get away from that clutter," Aldred said last week while outlining the new campaign, called "Precision." Instead, GMC will try to amplify its long-running "Professional Grade" tag line by emphasizing craftsmanship and refinement. Part of that will include the first commercials dedicated to GMC's pricey Denali models, which have grown to account for 20 percent of its sales. GMC has been on a roll thanks in part 2013 redesigns of the full-size Sierra pickup and Yukon SUV. The brand's U.S. sales were up 23 percent this year through February, after an 11 percent gain for all of 2014. Still, Aldred believes that GMC's success has come despite a relative lack of awareness among buyers. "Not everybody is that familiar with the brand and what it means in 2015," Aldred said. GMC's ad budget has been relatively frugal in recent years. Last year, an Automotive News review showed that GMC's advertising spending per unit sold, $388, was the lowest among the 13 largest automotive brands in 2013. GM will boost GMC's ad spending this year by roughly 50 percent over 2014, a year in which the brand was launching its redesigned heavy-duty pickups and SUVs. GMC has no major vehicle rollouts planned for this year, though it still is in launch mode for the Canyon midsize pickup, which hit showrooms last fall. Through the first three quarters of 2014, GMC spent $177 million on advertising, not including mobile, paid search and some other forms of digital ads, according to the latest figures available from Kantar Media. The ad campaign, created by longtime GMC agency of record Leo Burnett, is the first step in GM's plan to roughly double its investment in GMC over the next decade in an effort to grow its market share by two-thirds, to 5 percent. One commercial that debuted last week features Jeremy Affeldt, San Francisco Giants relief pitcher, who earned the win in Game 7 of the team's World Series victory last year. The commercial alternates between shots of the lefty's fastball painting the corners of the plate and images of a GMC's French-stitched leather seats and shiny mesh grille. "Maybe people just appreciate that kind of accuracy, that kind of precision," the voiceover says. "This is precision. This is GMC. Welcome to the show."